Evernote does not work as an IFTTT trigger. Work arounds? Evernote is failing as an IFTTT trigger; something that neither IFTTT or Evernote seem willing to address. Hi. OK I get that you had the error at least 4 times. What extra information does "Tap to v..." give you, and what exactly have Evernote and IFTTT said? I have at least one IFTTT link which (AFAIK) is working correctly. Have you tried revoking IFTTT's access to your account and rebuilding the recipe? @gazumped, from my own trials with IFTTT I can echo @guegreen's problems. In my case I followed the instructions to the best of my understanding. However well a recipe may work initially it can get broke with changes made and unless one is a technical expert it is difficult to resolve any issues. Just right now I went into IFTTT granted access once again to Evernote and Google Drive (to save one notebook to Google Drive) and nothing happens when I tap 'Configure'. At least I recently found a very reliable but also costly service for full, instant backup including conversion to pdf (when applicable). Would you care to share the details. 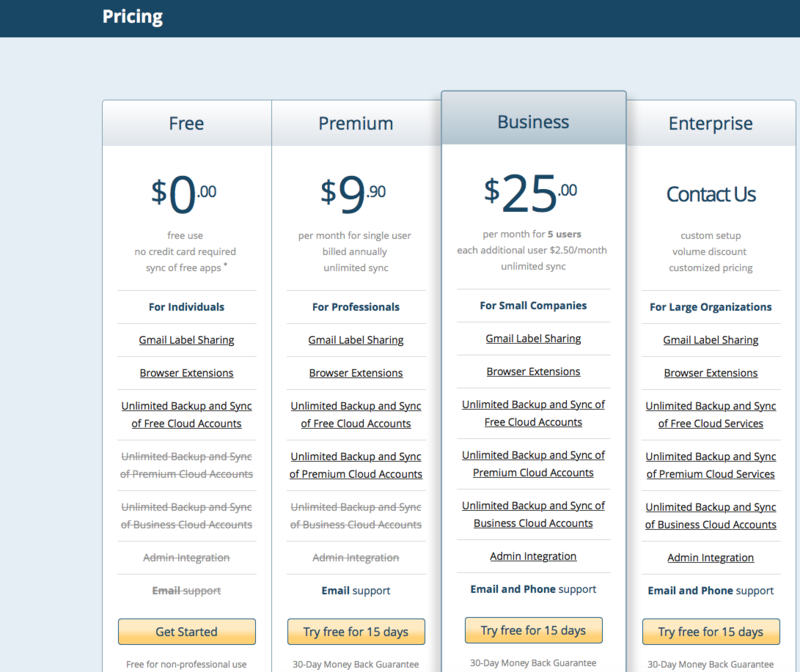 cloudHQ free service is restricted to non-premium users.